Those chinese are awesome. The rest of the set: booze, shake weights, bags full of vomit. Rock on! Um...just because you see Asians in the picture that doesn't automatically make them Chinese. Fair enough, I'll rephrase: Those kids are awesome! 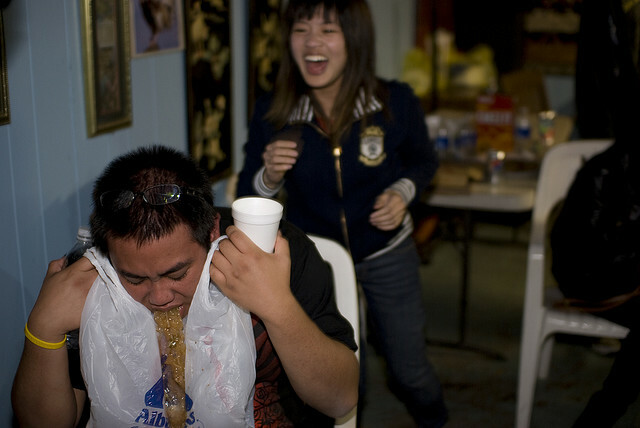 i know this is racist in some fashion and i dont really care, but i always really love your photos of drunk asian people. If only she were shooting the peace sign, this picture would be complete.